I started to write this blog over on the Yggdrasil website about Film Muic but have decided to expand upon it and post it on the SBP site. My names Matt Kollar and myself and my partner Colin Walker run Space Barbarians Productions. Because my background is heavy in music it is something that has always been really important to me when thinking about making films or TV shows. I tend to obsess over it when I watch a movie for the first time and can't help to criticize or fall in love with film scores immediately. I recently saw "Thor:The Dark World" at midnight with a group of friends, and I have to say I really enjoyed it. It was good fun, just the kind of "Action Adventure" movies I want to make. I would even go as far to say that the "Thor" pictures are my favorite Marvel movies, because they are so unique. I really enjoyed Brian Tyler's score, which you can listen to in its entirety here. Just like the movie it feels adventurous and huge and I love the choir and sweeping strings that run throughout it. The only big criticism I have is really rooted in what my interests are as a filmmaker and human being, so it's a very objective criticism that I don't expect many people to share. Personally though I just don't buy that Asgard sounds the way it does, which is like every other Marvel movie with the inclusion of a choir. I mean we're talking about an entirely different world and dimension that has eons and eons of history and culture to pull from so why would it sound vaguely familiar and sort of like the "Iron Man 3" soundtrack? In the future, Vikings from space will build their castles and living quarters out of enormous pipe-organs. I think one of the most interesting things about the Thor movies is that because they are set in a different world and dimension and center on a culture unlike anything on earth there is so much opportunity to build not only the look of the world of the film but the sound of the world we are spending our time in to assist in creating an incredibly immersive experience for the audience. Again, I'm not saying that I didn't thoroughly enjoy this film, and there is amazing detail and culture in the architecture of Asgard and the astounding costume design by Wendy Partridge, but I think that that detail should also apply to the music, so that when you hear a theme in the picture you think,"Yes, that is all Asgard, that is exactly how a different dimension would sound". An example of this you ask? Well my dear friends may I present in defense of the case of how film score can be as detailed and riddled with culture as any other aspect of production a little picture we know as "The Lord of the Rings". 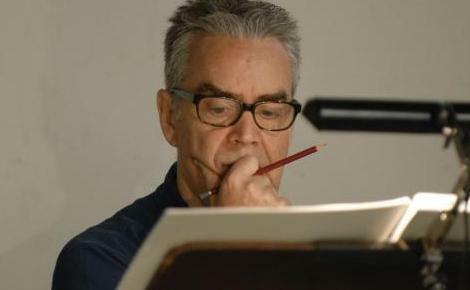 Obviously Howard Shore is a genius of melody and composition but what makes the LOTR score so successful is how coded it is to each culture of Middle Earth. Gondor sounds drastically different than Mordor which sounds drastically different from Rohan which sounds worlds away from the Shire, the Elven cultures and the Dwarves under the mountain and you never confuse them or kind of recognize them to be from another movie because there is so much thought behind their creation. I have nothing snarky to say about Gondor. They have been through enough. Just listen to two of my favorites, "The Rider's of Rohan" which has Rohan's main theme and "The Lighting of the Beacons" which contains the Gondor themes. That second one really gets me it just contains so much emotion, triumph, desperation and sweeping adventure. The amazing thing though is that both of those themes are also coded with the culture they are supposed to represent. Gondor, once the capital of the Kingdom of Men, rings triumphantly with heavy brass fanfare that almost sound a little rusted because of the White Cities current state of decay. Where as "The Rider's of Rohan" more nomads and horse warriors living in golden dales and valleys have a violin as their main instrument and it sounds like freedom and it sounds like Irish. Lothlorien: Home of the most pretentious Vegans of all. "Lothlórien is more exotic," explains Shore. "Rivendell is about learning and knowledge, but this is different." 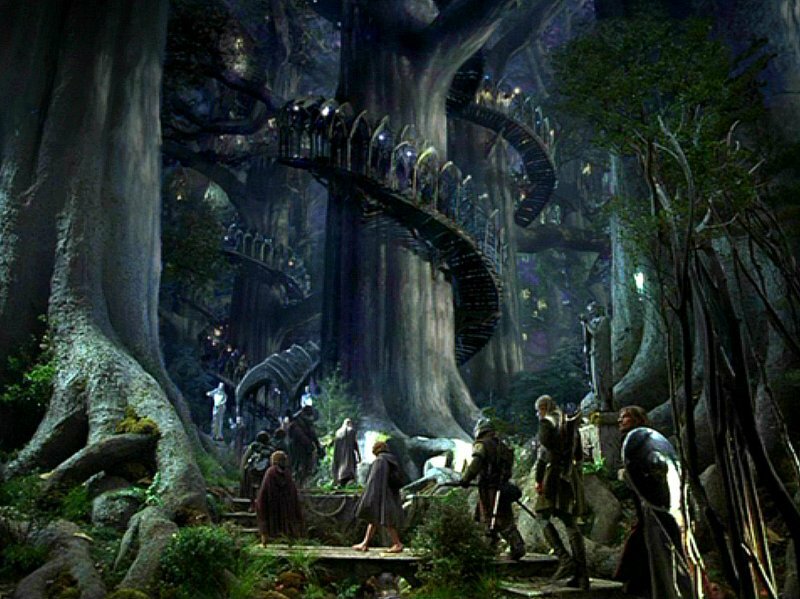 The Lothlórien music stretches into sustained, arrhythmic shapes that sound neither danger­ous nor comforting, but create a sense of unanswered anticipation." My point is the score is incredibly detailed and enriches our experience of the movie. Just like costume and set design influence us and tell a story so too should film score and just like all of the other elements of production it should assist in telling the story instead of just sounding pretty.